Looking to hire a skip for the first time instead of transporting waste to the tip yourself? 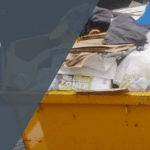 Domestic skips are great for projects that generate a considerable amount of waste – ranging from property moves and home renovations to refurbishment projects and garden clearances. 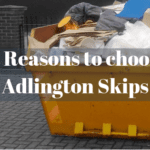 Choosing the right skip will save you time and money, and here at Adlington Skips, we provide a complete range of domestic skips from our head office in Adlington, Lancashire, accommodating customers in Bolton, Chorley, Leyland, Preston, Wigan and surrounding areas. We are confident you’ll find a suitable skip to store the waste your project generates, and if you aren’t too sure which one you need, our team can guide and advise you. Whether it be skip hire in Bolton, Chorley, Leyland, Preston or Wigan, we guarantee a hassle-free service for everyone. When you’re ready to order a skip, simply call us on 01257 474 747 and let us know which skip you need and what waste you’ll be throwing out. Have a date and time in mind and we will do our very best to accommodate your needs. We can offer same or next day delivery (depending on our availability) so be sure to book in plenty of time. 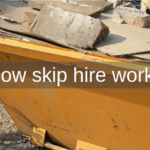 Whether it be skip hire in Chorley or skip hire in Leyland, Adlington Skips provide a bespoke quote for customers – no matter where you are – taking into consideration your exact project needs. After receiving the quote, if everything’s to your liking, we will confirm delivery details and arrange payment. Are you planning to leave your skip on the road overnight? Skips left on the road need permission from the local council, but this isn’t a problem for us at Adlington Skips. We can obtain permission on your behalf – making sure your skip hire in Preston (or anywhere else) is compliant with stringent skip hire regulations, allowing you to avoid being handed an expensive fine. At Adlington Skips, we deliver our skips using reliable fleets which incorporate traceable technology – making sure they arrive in sufficient time for your project. We make sure that your skip is positioned safely on your driveway or the road. Once your skip has been delivered, you can start filling it straight away – but remember to keep restricted items out. If you’re not entirely sure what can and can’t go in your skip, we can help you. Make the most of empty space and break down large, bulky items into smaller parts – this will instantly free up space inside your skip and allow you to fit more in. As soon as your skip is full, call Adlington Skips. We will arrange to collect your skip at a time that’s most convenient for you – making sure waste is disposed of correctly.  All skips, provided for skip hire in Wigan, Bolton, Chorley, Leyland or Preston, are transported to the local sorting facility when they are full, and we aim to recycle 90% of the items stored inside. If you need to know more about domestic skip hire in your local area, don’t hesitate to contact us.